10 yr. old, 14.2 hand pinto gelding. He is very attractive, an excellent mover and beautiful over fences. He is super easy, quiet, auto swaps, kid safe, and I don't think you could make him stop. 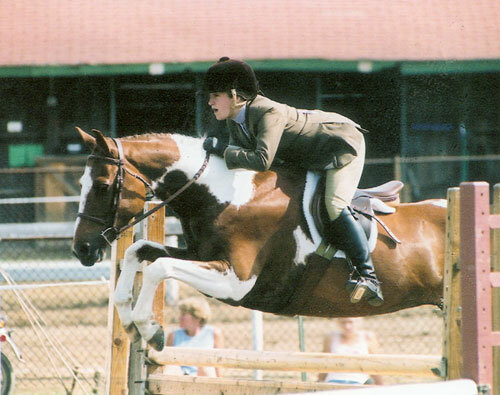 He has been to Pony Finals and had been consistently and successfully showing on the A circuit for the past 2 years.